Today’s post is inspired by another Quest 2015 visionary guide, Pam Houston. She is the author of four books and also teaches English and Creative Writing at UC Davis. In addition, she directs the literary nonprofit Writing By Writers and also teaches in The pacific University low residency MFA program. Sit quietly and ask yourself, what in the last day or week or month has made your heart leap up? Not what should, or might or always had, but what did. Make that list. Be honest, even if it surprises you. Keep the list with you this month. Add to it when it happens. Train yourself to notice. 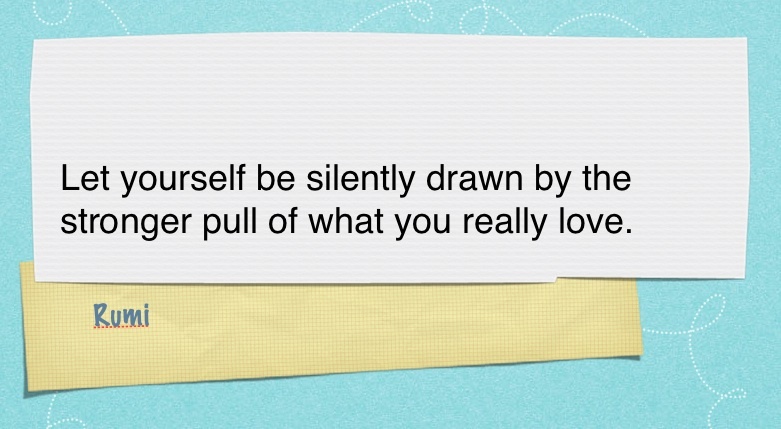 Then ask your self today, how can I arrange my life to get more of those heart leaps in it? 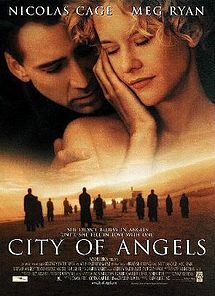 Recently I watched City of Angels, an old favorite of mine. It’s a love story between an angel named Seth, and Maggie, a heart surgeon. 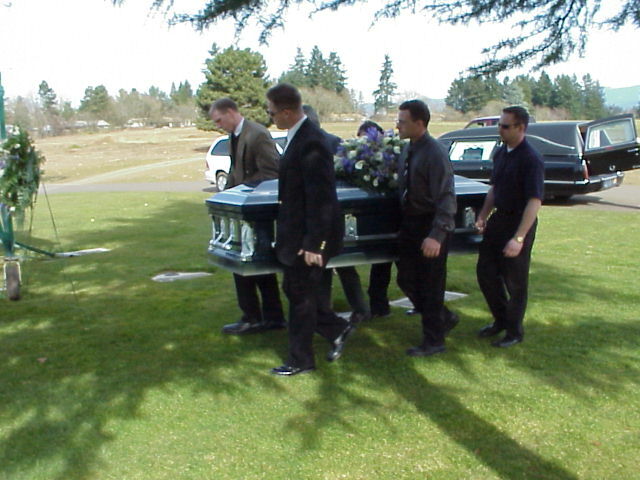 Seth is an angel who arrives on the scene just as someone is about to die, and guides them ‘home’ after death. Than there’s Maggie; a young, ambitious cardiac surgeon who has full confidence in herself and her abilities and doesn’t believe in the concept of heaven or angels at all. One day Seth appears outside an O.R. where Maggie has been operating. Her patient goes into cardiac arrest at the end of the surgery. Maggie and her team quickly open his chest back up and do everything they know how to restore cardiac function. It’s at this moment, Seth, the angel….falls in love. When it comes to heart leaps … What’s love got to do with it? There are a number of wonderfully profound and painful lessons throughout this movie. One of the reasons I’m particularly drawn to this film, (besides being a typical love story addict), is more than likely because my own husband died of an unexpected heart attack at the age of 35. He was a member of the city league basketball team and just finished playing all four quarters of the game when he collapsed on the gym floor. He was defibrillated twice on the scene before paramedics arrived. And although CPR was performed continuously during ambulance transport and in the ER for well over an hour, he could not be resuscitated. For my husband…literally. For me, in every other sense of the word. So when it comes to heart leaps, the most significant one for me has been missing in my life for nearly a decade. And I don’t mean that I’ve not experienced a heart leap in this regard since that time. Yet for whatever reason, there has been a glitch in the system on this. The stars have not been squaring my moon. Or lack of perfect planetary alignment. Regardless of all the meaningless cliches I’ve come across since then over love, none have been acceptable to me. I know why I am here. Love IS my reason for being. Period. Now the death of my husband isn’t the main focus of this post. Merely, the poignant catalyst of meaning that has trumped all other losses in my life. It is this kind of loss that tends to put many areas of life in perspective far more dramatically than any other. And until I find a real, TANGIBLE love again, there are simply no new ‘love’ memories to replace those I had with my husband. I also know that love itself manifests in different ways. Sometimes it will be romantic love. Sometimes it is love in service to our children and then to the larger part of humanity is some way. Love is why we are here. What do I DO with all of this? 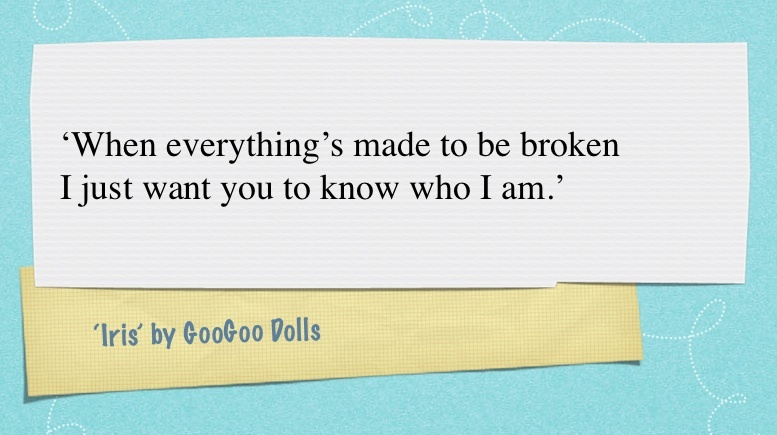 Where do we start to pick up the fragile pieces of our lives that may be lying shattered all around us. Literally or figuratively? The short answer? One piece, one breath, one step at a time. And not without a little help from our friends! ‘You should trust that. You don’t trust it enough’…. What happens when we no longer trust it? This question came to mind as I considered what has been making my heart leap lately. I realized that for me, it would involve more than paying attention to what causes my heart to leap. It would also require a deeper investigation in order to understand the ways I may feel like I could no longer trust it when my heart leaps. I’m not talking about those kind of special heart leaps. I’m referring to the kind that has the potential to lead us in new directions….the LIFE ALTERING kind…the kind that may involve REAL and SIGNIFICANT….CHANGE. Generally involving things like our career path or our more intimate and significant love relationships. This is where my own heart leaps occasionally develops some ‘arrhythmia’s’. So what generally happens for me? I’ll feel the warmth, love, excitement, or passion when I encounter certain people, sights, sounds, ideas, and events in my life. In some cases, it’s as if I’m like a small child who can’t resist the pull of what my heart longs to reach for. THIS is closer to my reason for being! THIS is what makes my heart sing! THIS is what I’m here for! Now, I can feel this for MANY things, not necessarily just for THE ONE… the love of my life…my soul mate. I’ve experienced this when working for a software company.… when inspiration is firing on all cylinders and my brain was churning out new product ideas like mad! In the middle of creation; when I’m turning that idea into a product or I’ve just completed a huge project. I’m EXCITED when that happens! I can feel that passion pulsing through my veins whenever I come up with something to create…. It also happens whenever I encounter someone that I want to create WITH! Yes, this could be back to ‘life mate’ again…yet it’s NOT limited to this. This has to do with ANYONE being a potential partner in co-creation for serving humanity, for partnering in business, friendship, or marriage. And yet…how often have I followed my heart only to be let down? Or told that I shouldn’t follow it…or it’s evil…or…fill in the blank? We have plenty of things crop up to toss a monkey wrench into our understanding of what these heart leaps are all about. Or there’s a mixed bag of beliefs coming our way from various directions and sometimes you can’t make heads or tails out of it all! To follow or not to follow your passion? Do what you hate because it puts food on the table? Do what you love and it doesn’t put food on the table? Do what you hate because it will put food on the table until doing what you love pays the bills? We’ve all had to struggle over these decisions in life. Or what about our relationships and marriages? Stay with people you no longer love because you think it’s your duty? Even though you come up with excuses to spend more time away from home instead of being there? And NO! This isn’t a declaration that I’m all for throwing in the towel and being an advocate for divorce at the first sign of trouble! However, I AM suggesting more couple would be far better off getting honest with one another and starting there…. but I digress. Sometimes, we only glean the wisdom and understanding in hindsight. As the saying goes, hindsight is always 20/20! Over time, it seems as though a little piece of our heart dies or hardens….frozen in time at the apex of a painful moment. Like when my husband died. Or when we fall in love with someone and they betray us and break our hearts. Or we put the last bit of our life savings towards education for a new career path, and you have to walk away because it was a bad deal….zero integrity… and you can’t get your money back. All gone and nothing to show for it but the experience that comes from the school of hard knocks. These kinds of things can harden the heart a bit and make us fear reaching out just to be burned one more time. We lose faith; in ourselves, in our concepts of God, our faith in humanity. When this has happened too much or all at once, we might close up. Pull back. We may run off like an injured deer in search of a secluded spot in the woods to lick our wounds in order to heal. It’s like an ancient wisdom takes over in knowing that we aren’t strong enough to defend ourselves if another predator crosses our path. So the fear and the wisdom serves to work together to try and keep us safe until we are stronger. I’ve been there. And in spite of fear, I’ve had to find ways to reach out. Even if only baby steps at a time. 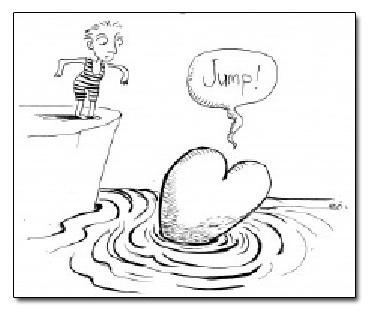 In fact, the very creation of Tweet Connection was based on a heart leap of faith. The idea came, I set up the site, and I’ve continued adding a little bit to it, one post at a time. Yet what about the bigger heart leaps? The ones that require a huge leap of faith and scare us the most? This brings me back to the City of Angels love story. Seth fell in love with Maggie yet he had a huge decision to make because they couldn’t be together in any tangible way unless he did. He had to decide if his love for her was big enough to give up his immortality as an angel and become human. And in the end, he took a giant leap of faith. He chose Maggie. He chose love. Yet here’s the thing In all of this soul searching I’ve done on this topic over the past few days, I’m not any wiser than I was before. I haven’t had any huge epiphanies that solve the riddle on how to crack this ‘passion’ code for any of us. If nothing else, it has merely served to reinforce the idea that I can choose to leap or not, but the outcome is ultimately out of my hands no matter what. Like Seth, you and I fall in love…. we fall in love with sights, sounds, smells, tastes, and ideas. We fall in love with people. And we have a choice. We can choose to take a leap of faith and follow what we love. Or we don’t. And here’s what I believe to be a big trouble spot for many of us. We look for the guarantee. We look for an exemption from any future loss, heart ache, betrayal, drama, or trauma. Well guess what my friends? The truth is this. We can take a leap of faith and choose to follow our hearts or not, but regardless. There are NO guarantees! There is no guarantee that new business you want to start will be a success! There is no guarantee that allowing yourself to fall in love again won’t result in getting your heart broken or save you from the pain of having a spouse die. There are no guarantees that we can spare our own children from any amount of suffering no matter how much we try to prevent it! We can choose to follow our heart leaps in life. Or not. Either way, there is no guarantee. Yet passion and love in my heart has always made my soul happier than when I’m playing it safe and feeling as lifeless as the walking dead. I will to choose to leap! As often as I can! Yet like the little boy in the image, we all tend to find our courage is greater when we have some loving arms to jump into! When it comes to love, little else does. Now THAT’S a heart leap!